These breakfast chia pudding smoothies are perfect for when you want a quick and easy breakfast without missing out on the nutrients, and taste! Not to mention they are also a great breakfast option for kids! 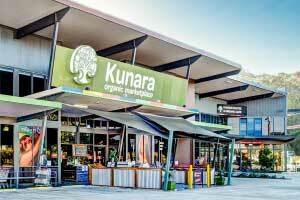 Kiwi fruits are particularly high in vitamin C (even more than oranges! ), which can help support immune function; they are also full of fibre, promoting gut health. Chia seeds are rich in Omega 3 fatty acids, which may be beneficial for hair, skin and brain health. They are also full of fibre, again promoting overall gut health. They are also relatively high in protein, vitamins and minerals. Pumpkin seeds, also known as pepitas, are a great source of magnesium, zinc and vitamin E, which may help reduce blood pressure, as well as inflammation and blood sugar levels, and promote skin health. 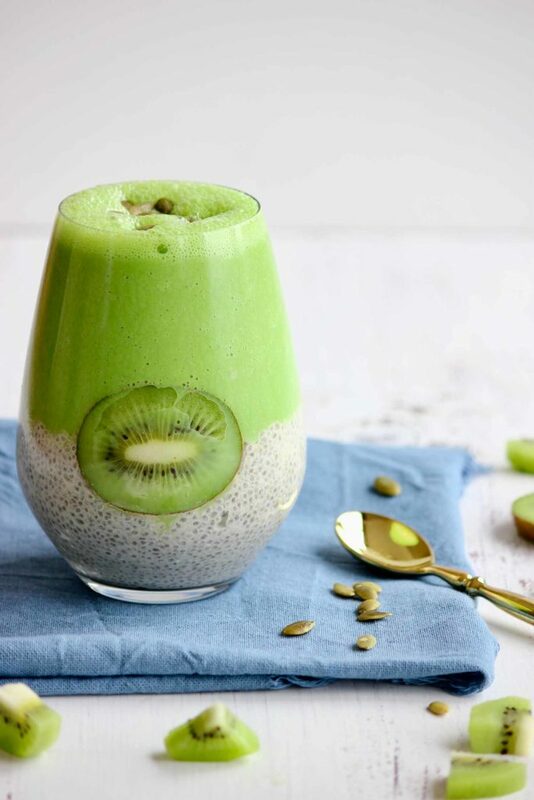 Therefore, kiwi fruit, chia seeds and pepitas are the perfect addition to your breakfast routine. 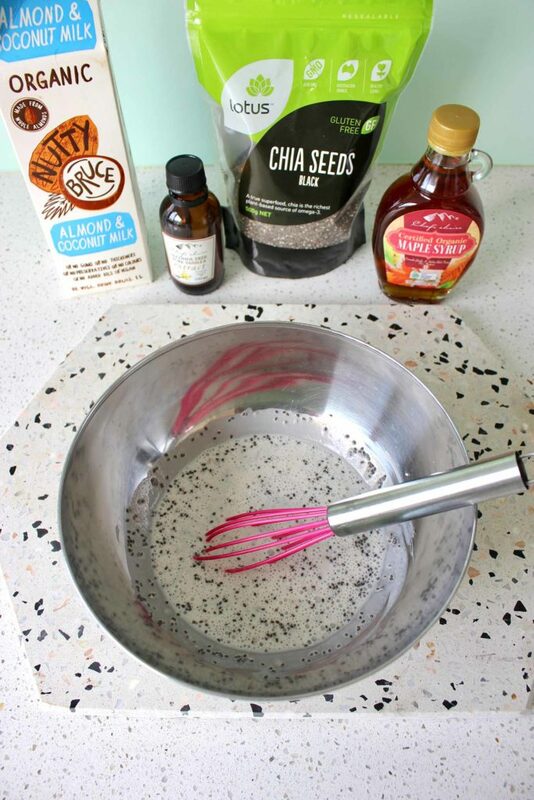 Prepare the chia pudding by mixing together all the ingredients together in a bowl, making sure there are no clumps. Gently slide the kiwi fruit down the side of the glass and firmly push to the sides, because the fruit is moist it should suction to the glass. Put the chia mixture in the glass evenly. Then store in the fridge for an hour or overnight to set. 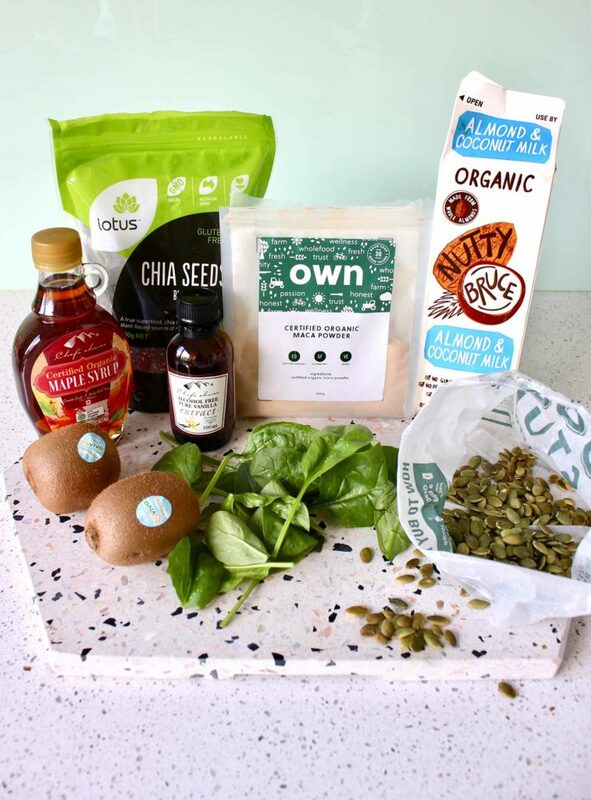 Once the chia pudding has set, make the smoothie by adding all the ingredients to a high-speed blender. 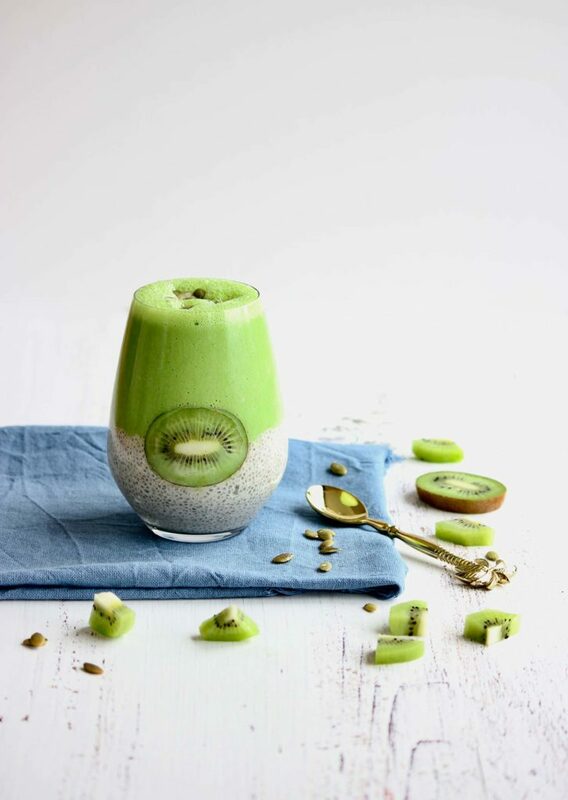 Serve the smoothie on top of the chia pudding, and top with chopped kiwi fruit & pepitas. Tip: if you would like your smoothie to be thicker, use less liquid and add another frozen banana. Simply double the recipe if you want to serve 2 people.